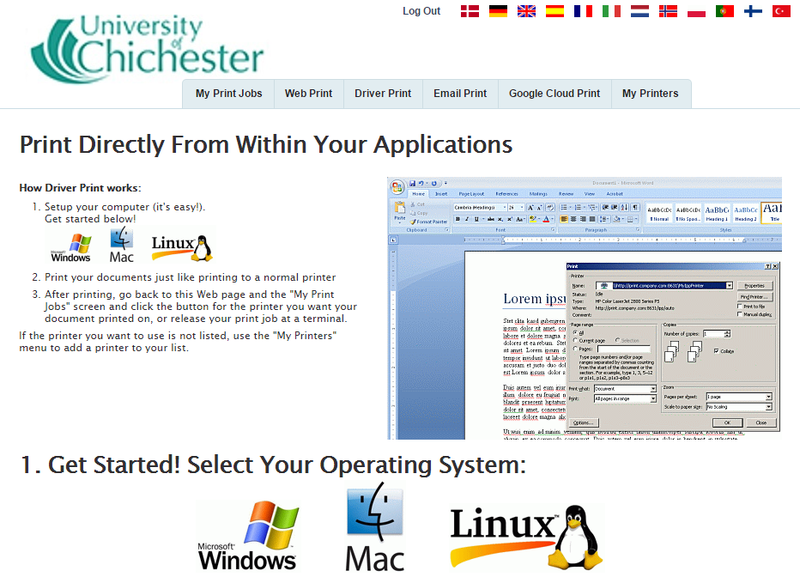 Please note: If you installed the University's old printing software (Equitrac) before September 2015 we advise you to uninstall that before installing the new print system. 1. First check whether you have the University's old Equitrac printing system on your device. If you do, uninstall this and then move to point 2 below. If you do not have the old printing system on your personal device go straight to point 2. Please note: the alternative to driver printing for personal devices is email or web printing. You do not need to install anything on your device to use these services.